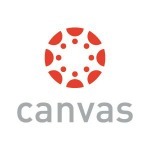 Who Should Come: Anyone who is new to Canvas or need a refresher. Learn how to use core Canvas tools to upload, organize, and distribute your course content. In addition, you'll learn the most effective ways to collect student work and communicate with your class in Canvas. What to Bring: Your laptop if possible.